sskadmin has been a member since April 17th 2011, and has created 1 posts from scratch. This is a review of search engine ranking software in the $100-$300 category as of early 2012. The winner, SEO software, is that rare combination of both a superb product and a great value. I reviewed more than 20 products with limited trials, and ran full trials of 4 products. Most were acceptable and represented a reasonable value for their cost, whether that be free, $5/month, $50, or $500. However, one product, Advanced Web Ranking, stood out so spectacularly that it’s the only one whose features I will review with any depth. In particular, the $100 version of Advanced Web Ranking deserves a five-star, best-value rating. 1. Is your two-year budget under $100, $100-300, or over $300? Some of the products have monthly fees that vary with usage, so if you need many reports the costs can quickly add up. Web Position (Gold) is probably the most egregious offender here. Wiith low or modest usage, Web Position will set you back $700 – $1500 in two years. The winner, Advanced Web Ranking, offers unlimited usage for $100 for their Standard Edition, which is much more capable than any other competitor near this price. 2. Do you need advanced reports, Google Analytics integration, and dozens of keyword-site combinations? My needs were middle-of-the-pack: Run daily or weekly reports on about 25 keywords and 25 sites, but in varying combinations and groups. Sometimes one site had multiple keywords, sometimes one keyword had multiple sites. I did not need Google Analytics integration. Highly desirable was the ability to graph progress over time against a number of variables. 3. Can you use a web-based service, or do you need a desktop solution? The web-based services tend to be the cheapest, but come with a very significant disadvantage: You must wait 24 hours to get results. There is limited flexibility in the reports. The desktop based solutions offer instant gratification, but if you want to run many keywords per day quickly, you may also need a handful of proxies. My evaluation process consisted of selection followed by trials. In addition to ease of use, bugs, quality of product, and stability of software, I gave heavy reliance to actual customer feedback in the forums as well as customer support. Finally I was left with a small group in the $60-$100 range of Advanced Web Ranking, Clever Stat, SERank,Rank Reporter and Cute Rank. Advanced Web Ranking was not only very modestly priced, $100 for the Standard version, but had features normally found on products costing $500 and up. You can upgrade Advanced Web Ranking to $200 or $400 versions, but for my needs the $100 was almost perfect. Advanced Web Ranking, standard version ($100 one-time) includes almost everything you’d ever need for tracking a mid-sized SEO endeavor. You can slice and dice your projects almost any way you can think of, and a few ways that I had never contemplated. It graphs, it schedules, it analyzes back links, it tracks and reports quickly and effortlessly. The learning curve is very short. The Advanced Web Ranking customer support is phenomenal. My inquiries were answered within hours. This is very important because every few months, search engines will change the way that they report and the software will need updating. The free products usually lag by weeks or months. What was most remarkable is that in the under-$300 products, a number of them had customer forums indicating that their customer service was slow or non-existent. Buyer beware! 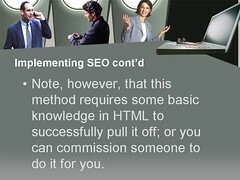 I found only two limitations, and one annoyance with Advanced Web Ranking. Limitation: Although it supports multiple proxies, the $100 version did not rotate them automatically. And the proxy being used is only shown in the more expensive versions. On the plus side, it supports both IP and password authentication. Annoyance: the software’s popups seldom dissapear after you’ve moved your mouse. All told, Advanced Web Ranking is a phenomenal buy. In the 2-year budget of $100-300, I highly recommend it. 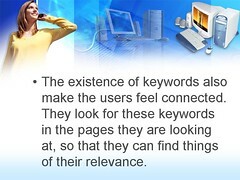 Advanced Web Ranking: www.advancedwebranking.com. Products reviewed late December 2011. Question by Haribo: Search Engine Optimisation – easy things even I could do..? It can be very frustrating when your on a tight budget and need to get some support. I feel for you! I will try and monitor this question and help you as much as I can. However, please note that teaching someone html and editing their site code takes time. – What web building system are you using? I will need to know this before I can help you too much, as some online website builders won’t allow you access to modify much of the code behind your site. I see that you loaded Google’s site verification code into your site…however, you placed it in the wrong place. It’s showing on the bottom of your home page. The line of code you got from them needs to be placed in the “head” tags of your website. Depending on my above question on what system you’re using, you may not have access to the head tags area of code except to edit Title, Description, and Keywords. These are called head tags. The first one is called the “open head tag” and the other is called “closing head tag”. Your Google code needs to be place between these two. Question by chitesh s: Is there any way to guarantee that my site will be placed in the first position in google search.? Suppose I work with some search engine optimization tool such as add keywords,description ,title to my web pages, link sharing etc, can there be guarantee that my site will be placed in top of Google search? If yes, then please can somebody give me the answer for how to do that? For free, not really. If you really want to be on top, you need to pay Google. Question by Narayana P: what are the best search engine optimisation steps? help plz? 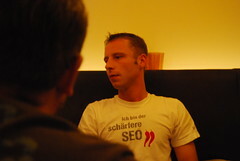 Question by Arel: How much should an SEO company take to work on my webpage for 2 months?